And Another ThingGain an additional grenade charge. InfuseConsume a more powerful piece of Armor to boost the Defense value of this Armor. Twist FateChanges the stats and upgrades available on this Armor. Arc RecoveryIncreased Recovery for 5 seconds after taking Arc splash damage. Solar RecoveryIncreased Recovery for 5 seconds after taking Solar splash damage. Void RecoveryIncreased Recovery for 5 seconds after taking Void splash damage. Arc ArmorIncreased Armor when using an Arc-based subclass. 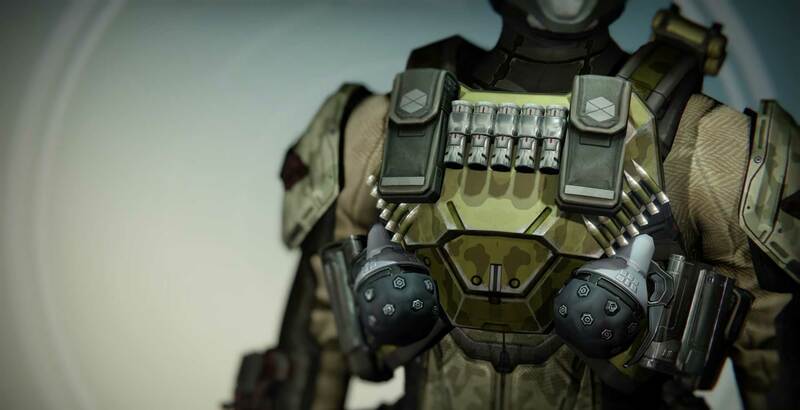 Solar ArmorIncreased Armor when using a Solar-based subclass. Void ArmorIncreased Armor when using a Void-based subclass. Special AmmoCarry more ammo for Special Weapons. Heavy AmmoCarry more ammo for Heavy Weapons. Increase StrengthIncrease the Strength bonus provided by this piece of gear. Increase DisciplineIncrease the Discipline bonus provided by this piece of gear. Increase IntellectIncrease the Intellect bonus provided by this piece of gear.